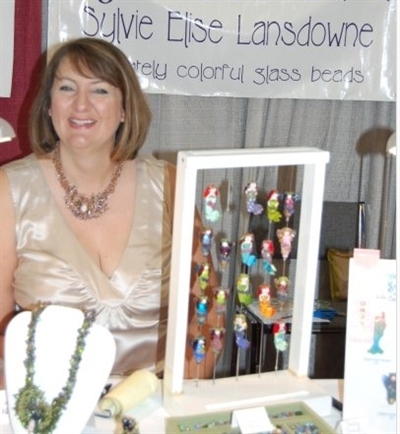 Sylvie Elise Lansdowne has been a glass bead artist since 1996 and is known for her Mermaids, Fairies, Angels and Floral beads. She brought that same esthetic to her whimsical beadwork projects, which incorporate her lampworked glass beads into versatile creations full of color and pattern. She loves creating things that make people smile.